Cheapside. It was a dive. The only house on the street, if you can call it a house. On the edge of the city centre, itself still then a warren of subterranean passages and elevated roads. Here was an even darker part of the town, where the oil stains of Motor City Brum surely coagulated. Hemmed in by warehouses and small factories, an electricity generating station nearby, a constant background rhythm. Alarms go off in the warehouses at night. On and on. The river Rea, culverted, mostly hidden underground, ran alongside in a dirty slurry. There are no carpets in the house, though it is believed the blonde guitar player has one in his room, a shag pile no doubt. He keeps the door padlocked. Miscellaneous bands rehearse out in the back, in a smoke-filled crumbling glazed verandah overlooked by the begrimed factory walls. They borrow equipment or people, stay for a night or a week. I never saw anyone cook there. Those were thin days. Clothes lay piled up on the floors, yet the women were always immaculately presented. They mostly worked at Barbarellas and The Crown, epicentres of punk and post-punk, not yet Nouveau Romantics. The boys played their guitars late into the night, dressed in black with lashings of leather, write songs of longing and youthful angst. Here Andy Wickett wrote the melodies that later became ‘Girls on Film’ and ‘Rio’. I was a fan of W. Eugene Smith and being here I better understood the photographs he made of jazz musicians in the dilapidated building where he lived in the Flower District of New York, as he immersed himself in bohemian life. A world of nocturnal shadows and activities. Walls painted black. Sleeplessness. Losing yourself in music. The caliginosity of Digbeth – that archaic word is well-placed here. Even the natural light there was a gunmetal grey. I had an exhibition of the photographs down south, entitled ‘Going Through the Motions’ (borrowed from a song by The Prefects). In the comments book, someone wrote ‘What sad lives young people live these days.’ That still makes me smile. But this was Birmingham in the late Seventies. No frothy coffee. Industrial decline all around. We looked to Detroit, the future uncertain. 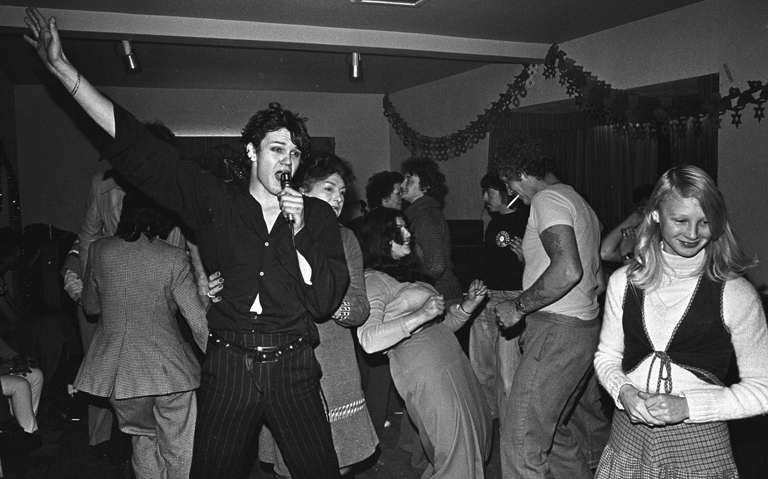 Andy Wickett, performing with TV Eye at Little Lakes Caravan Park, Christmas 1978. 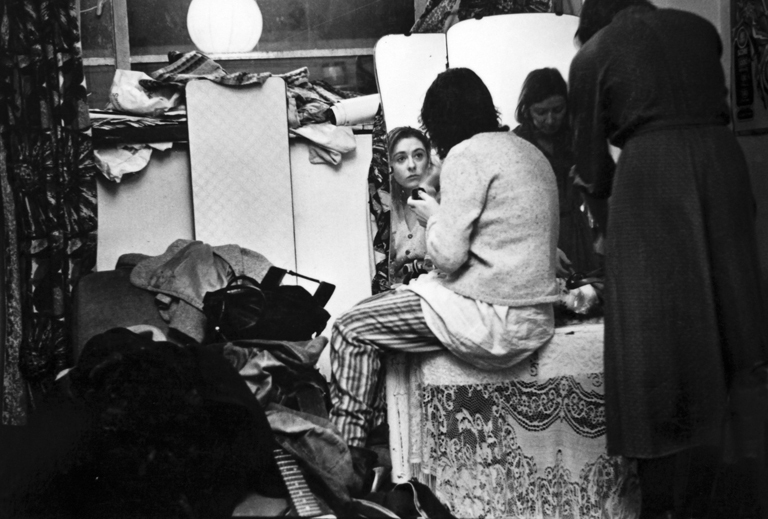 Preparing for the night out, Cheapside, 1978. Note: The Lost Studio Recordings 1977-1978 by TV Eye was released on a limited edition red vinyl in 2017. Compiled by the drummer, David Twist, it included five studio tracks, plus six from a rehearsal session, preserved for generations by fellow scenester and original Duran singer, Stephen Duffy. A CD version is in the pipeline. You'll find information on Facebook.